Here’s a colorful, festive cocktail to put the Merry into your Christmas. 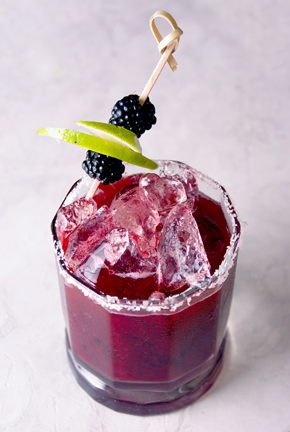 Crafted for Nature’s Agave by master mixologist and tequila expert Manny Hinojosa, the Winter Blackberry Ginger Margarita will be the toast of your holiday soiree. In a mixing glass add blackberry puree, add the rest of the ingredients, add ice, shake vigorously and serve in an old fashioned glass. Garnish with lime wedge and two fresh blackberries. Merry Christmas!